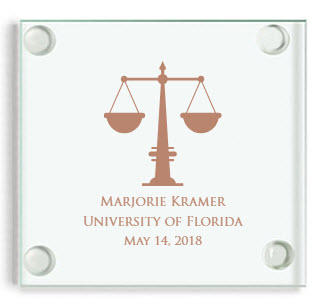 These coaster Law School graduation favors will do justice to protecting your guests' furniture while providing a memory of your party. 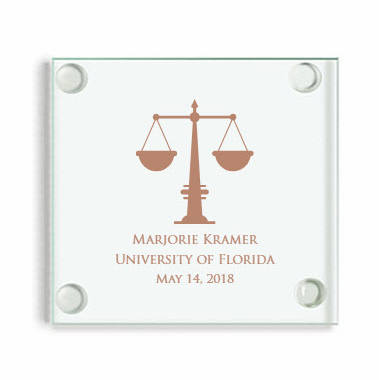 Made of clear glass, your design is silkscreened directly onto each coaster. TMeasuring 3.5 inches square, coasters come bulk packed. Boxes are available for .50 each.